Using a luggage lock can help keep your belongings safe while you travel. From traditional padlocks and keys to state-of-the-art card locks, there are a ton of options out there for you to choose from. To help you narrow in on your search, here’s all the information you need to know about using luggage locks, TSA approved luggage locks, and which luggage locks might be best for you. Do I Need a Luggage Lock? A good luggage lock will help to protect your luggage against unnecessary attention from would-be thieves and keep it safe while in transit. A great luggage lock will also be easily accessible for the Transportation Security Administration’s (TSA) agents that may need to check inside without them having to break in or damage your luggage or luggage lock. Bottom Line: While nothing can completely guarantee the safety of your belongings while you travel, a well-designed locking device can give you an extra layer of protection that you won’t want to be without. 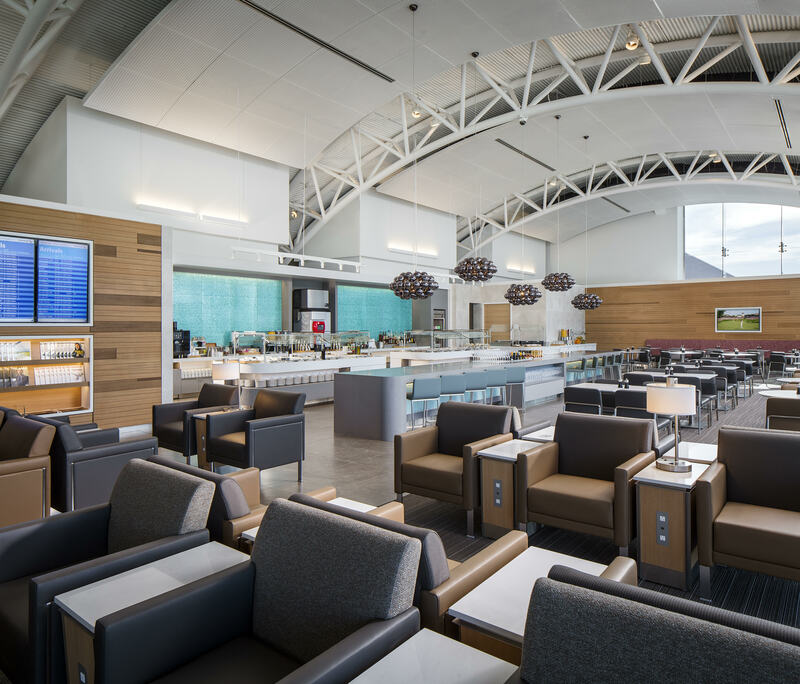 To ensure the continued safety of passengers traveling to and through the U.S., the TSA screens all checked and carry-on luggage before allowing the luggage onto any commercial airline flight. In the majority of cases, pun intended, baggage can be electronically screened. 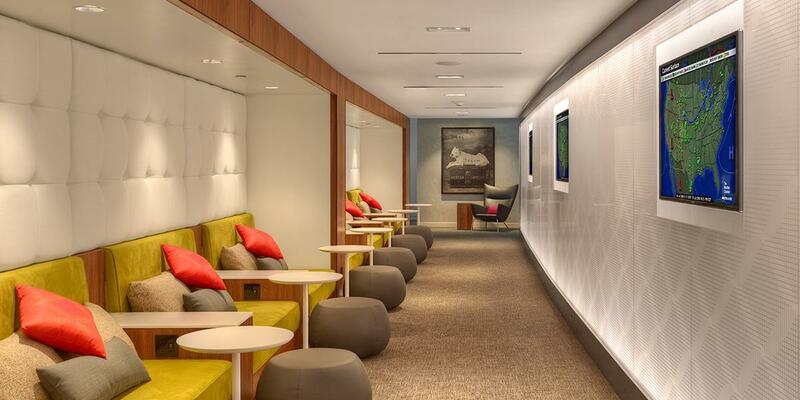 Electronic screening doesn’t require the bag to be opened. However, on occasion, your luggage may need to be opened by a TSA agent. 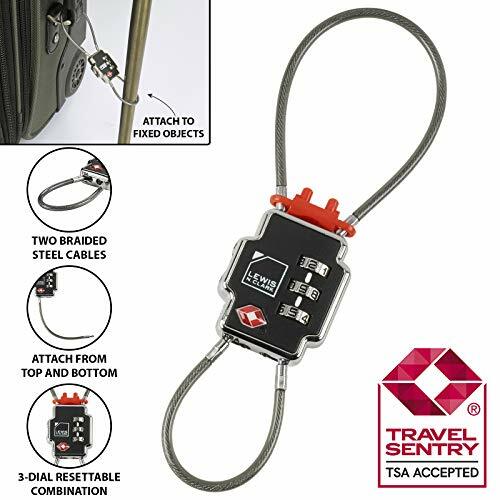 To ensure that your luggage is easily accessible to TSA agents while remaining secure and protected while you travel, the TSA has TSA Approved luggage locks. 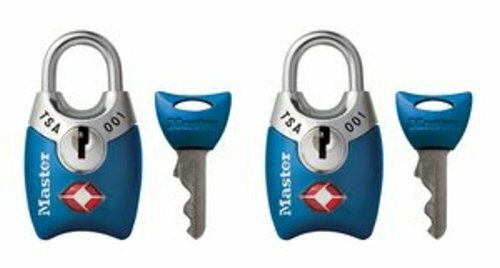 These TSA Approved luggage locks are designed to be used with a universal “master” key. This master key is only available to the TSA, so agents can access your luggage if needed, but the lock remains locked and luggage inaccessible to anyone else. TSA Approved locks can be purchased at the airport, your general luggage store, or even online outlets. When purchasing, the locks will clearly say “TSA Approved” on the packaging. Some TSA Approved locks also come with an indicator to let you know if TSA had to open your bag. The indicator will be read after inspection or remain green if your bag wasn’t opened. You can easily reset the indicator in seconds using a pointed object, such as a pen or paperclip, so can reuse the indicator for each trip. Bottom Line: If you don’t use TSA Approved locks, you run the risk of having your luggage damaged if TSA isn’t able to access your bag for inspection. TSA agents will break non-approved locks, cut zippers and even snip their way through soft-shell cases to ensure that you don’t have any prohibited goods packed in your luggage. 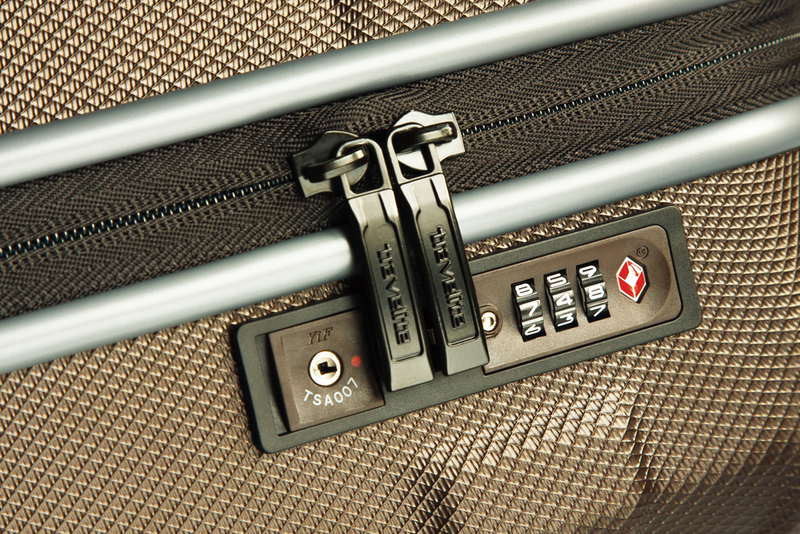 Stay safe, and keep your luggage in one piece with TSA Approved locks. All locks are useful, but not all locks are equal. When it comes to keeping your gear safe from harm in transit, there is a variety of different types of TSA Approved locks for you to choose from. The most traditional of all locking devices, a good-old-fashioned padlock needs the proper key to open the device. On the flip side of that, be careful with that key! If you lose the key, you may need to saw the lock apart to get access to whatever is locked inside. Using a combination of 3 or 4 digits, you can lock your belongings away from would-be thieves, without having to worry about keeping track of a key. A popular choice with travelers, combination locks are a good choice assuming you never forget the combination. If you are forgetful, you can always save the combination on your phone contacts as the last four digits of a phone number. For fans of the TV series Lost, “John Locke” is an excellent alias to use for the contact name. 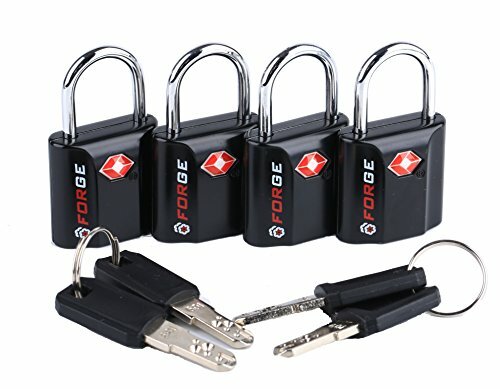 Bottom Line: Given these locks are compact and you don’t have to worry about a physical key/card getting lost, these locks come highly recommended for their ease of use. These locks also open with a combination but are more versatile. Cable locks can be used in a variety of situations as they have a semi-flexible cable rather than a stiff metal clip to lock. Not just for suitcases and backpacks, you can even use these for lockers or strongboxes while you are on the go. 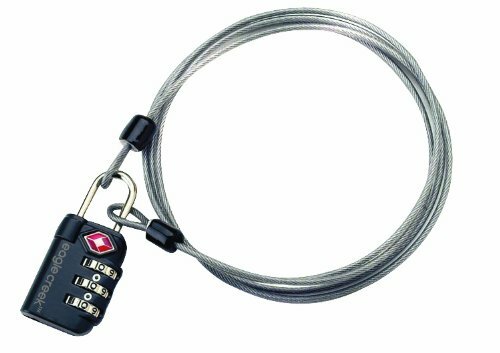 Bottom Line: Cable locks are a great alternative to regular combination locks as the flexible cable provides extra versatility. These are similar to cable locks in the sense that you have the option to lock your luggage to a fixed object or other luggage, but these are seemingly more convenient as the cable retracts inside the lock itself. 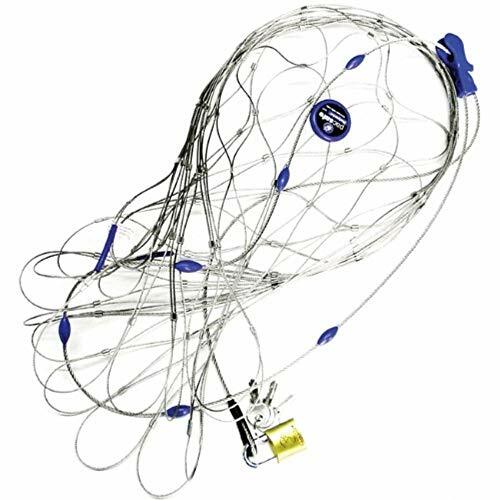 While this sounds great in principle, unfortunately with testing, the locking mechanism seems to fail quite frequently, and to make the cable retractable, the cable itself seems less robust than the cables used in the traditional cable locks. Bottom Line: Given their tendency to fail and how easy they are to break, retractable cable locks are not recommended. Similar to the cards you use to open hotel doors, key card locks work very similarly. A little bit on the bulky side, these are handy if you want to keep everything in your wallet as the key card will fit nicely in one of your wallet’s credit card folds. Bottom Line: It’s certainly a personal preference to use these types of locks. Unfortunately, similarly to key locks, if you lose the card, you lose the key, and you will need to cut the lock. 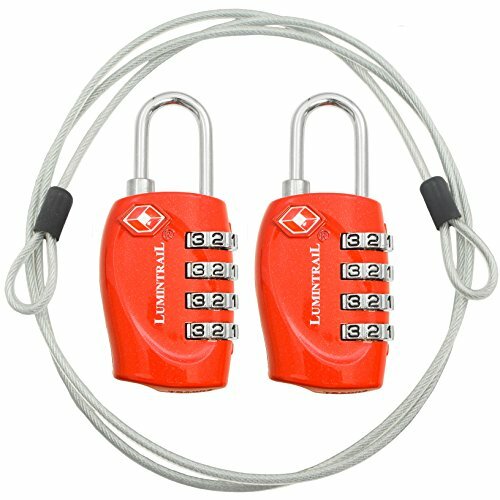 Giving you not one, but two, flexible cable locks, these offer great value for money and have a lifetime warranty. TSA recognized and accepted across the U.S, your bags can be checked without being broken into. The SearchAlert indicator will let you know when your bag has been electronically searched, while the locks keep your belongings safe from thieves. The easy to read three-dial combination can be set to any combination of your choosing, and the flexible cable can easily weave its way through zippers and other material. Made from high strength zinc alloy, these locks will provide a lifetime of security and peace of mind. This set of four luggage locks is perfect for families traveling together. You and yours can quickly and easily set your four-digit combination to help keep thieves away from your belongings while in transit. The ultra-durable zinc alloy bodies and hardened steel shackles ensure that your luggage lock will make it through all kinds of rough airport handling, while the TSA approved design will ensure that agents can gain easy access to your luggage without causing any damage. With easy to read dials and quick-set combinations, these little locks have a unique window design that makes your combination easy to read, while continually protecting the lock dials from damage while you travel. These TSA Approved locks can easily be locked and unlocked by TSA agents. Made of coated steel with an unbreakable steal shackle, these locks will protect your luggage from being broken into. Perfect for use on backpacks, bags, and suitcases, these beauties have convenient 4 digit personalized combinations, meaning you can choose a memorable combination for your convenience. This excellent value travel pack comes with two security travel locks and 2 x 4” flexible steel cables for added safety and security, both in transit and when you reach your destination. 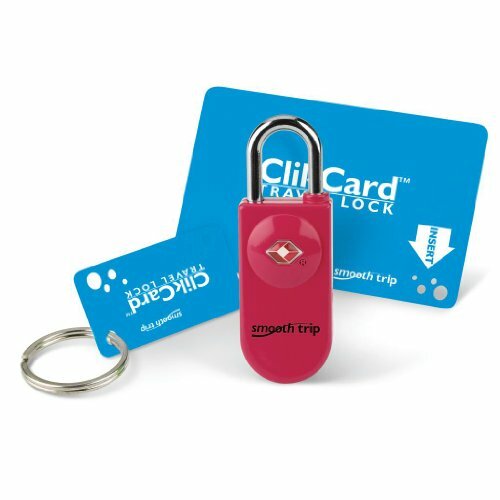 Offering a fuss-free, easy alternative to traditional padlocks and combinations, these ClickCard luggage locks are safe, secure, and easy to use. Just slide the card into the lock and wait for it to click open, and “voila” easy access for you, and TSA agents as and when is needed. The ClikCard is about the same size as a regular credit card, meaning it can be stored in your wallet for safe keeping. The lock itself is made of durable cast metal, with a thick solid shackle, meaning your belongings will remain safe and sound while you travel. Keep your luggage secure with this rather impressive strap and lock combination. TSA Approved, this will keep your belongings safe and secure while in transit. 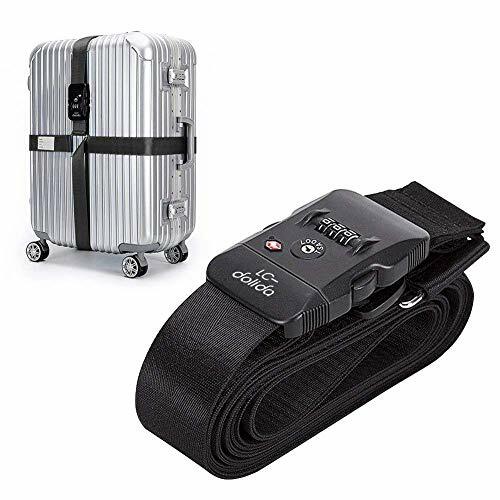 Designed to fit suitcases from 18” – 32” in size, the heavy-duty, adjustable strap is made from durable nylon webbing with a polypropylene plastic buckle and secure combination lock. Just set your passcode, and adjust the strap to fit your case, and you are ready to go. If you want to stand out from the crowd, this strap and lock combination will set your luggage apart from other cases at baggage claim, and keep your luggage safe while you travel. Designed to be super tough, these locks come with alloy bodies, hardened steel shackles, and an internal mechanism that is strong enough to take a proper pounding in transit. 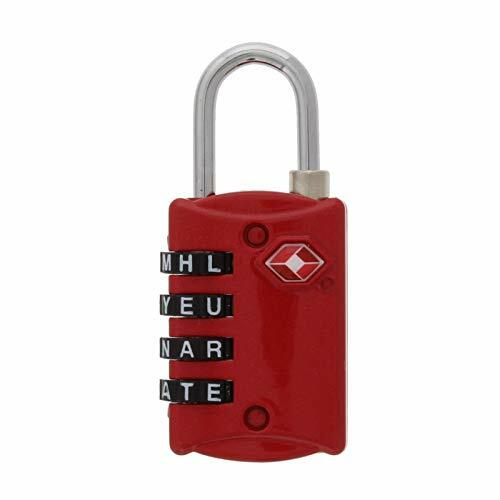 Touted as being one of the most secure TSA Approved padlocks on the market, this set of four locks uses an advanced dimple key and steel tumbler system, as opposed to the old-style biting key system. Perfect for families or those traveling with a lot of luggage, each of the locks will work with a single key. Cheap, cheerful, and incredibly easy to use, these TSA Approved luggage locks will keep your luggage protected while you travel. Made with a metal lock body and a vinyl covered cable, this lock will put up with plenty of the wear and tear associated with air travel. This lock uses a three-digit combination rather than the usual four you find on luggage locks. Small but perfectly formed, this padlock is perfect for both suitcases and backpacks. With a huge 4 ft of coated steel cable, this ingenious contraption allows you to secure multiple bags together, or tie your luggage to a fixed object. Great for layovers or long journeys where you would like to leave your belongings in one place, this is the perfect lock option for worldwide adventurers. Smart Lock technology will keep your luggage secure, while the flexible, steel cable is impossible for would-be thieves to cut. The 3-Dial combination is the perfect keyless locking solution, while the dial makes it easy to up your security wherever you are in the world. This set of 2 nifty little padlocks is perfect for backpacks, bags, and suitcases, wherever you are headed. TSA Approved and easy to open for inspection; these front access key locks offer practical protection for your belongings. 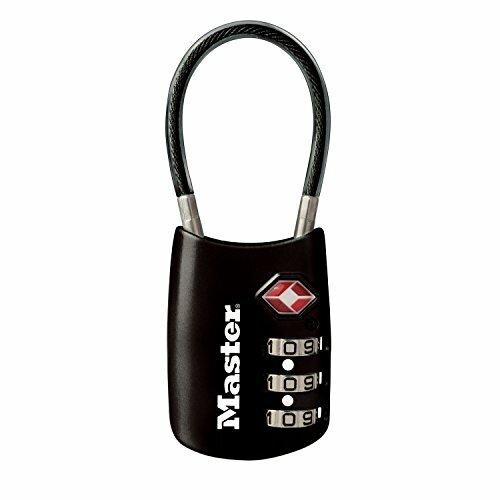 Made from a durable metal body and a steel shackle, these locks are cut resistant. They can also both be opened with the same key, meaning you don’t need to weigh yourself down with heavy key rings while you travel. Just 1 inch wide, these are compact locks that will do the job. TSA Approved, these luggage locks are super easy to use and do exactly what you would expect. Built to last, you will be able to travel the world with these keeping your belongings safely tucked up in your suitcase, duffel bag, or backpack. The 4-dial combination is easy to set and reset time and time again, and the WordLock gives you the unique opportunity to use a word you can remember instead of numbers. No need to worry about forgetting a number code; words are way easier! 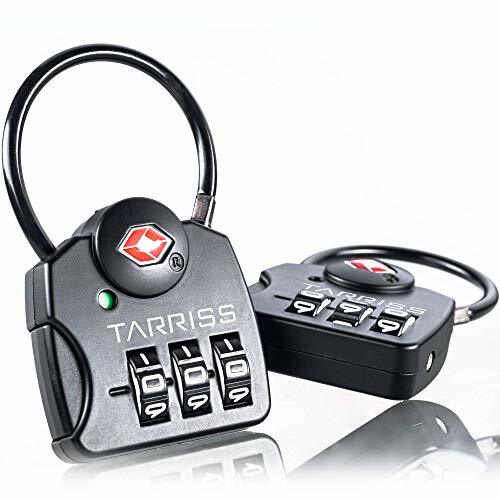 With over 10,000 different combinations, this is one of the easiest travel locks out there. Keep all of your bags and cases together with this rather smart lock and cable combination from the travel gurus at Eagle Creek. Made from vinyl covered steel, you can use this to keep your gear safe, while all being secured with one lock. The cable provided with this lock is a whopping 50 inches long. Made out of steel, would-be intruders won’t be able to get access to your items, and you can choose a three-digit combination code that only you need to know. The security lock is also designed to be easily accessible for TSA agents. 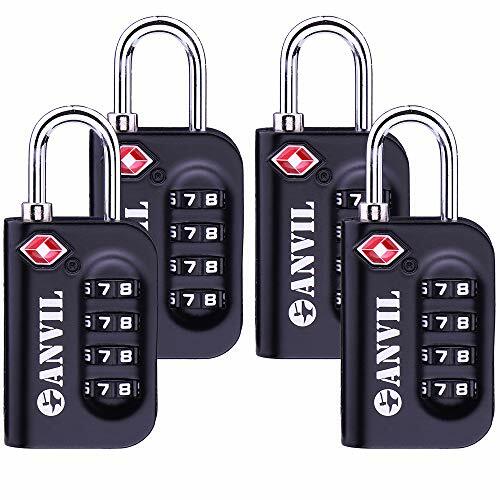 If you want something that offers more security than just a single travel lock, why not consider a triple lock instead? You can lock your zipper pulls together, lock your luggage handle to your zipper or even lock your luggage to fixed objects with this nifty little device. Made from zinc alloy with ABS plastic housing and two braided steel cables, this 3-dial combination lock and cable device will keep your luggage well and truly secure while in transit. Keep all your luggage in one place, but still enjoy easy access to your purse, wallet, or laptop bag with this unique triple locking system. It’s not just keeping your luggage safe while you travel that it is important to you, it’s also knowing that you will be safe when you reach your destination. 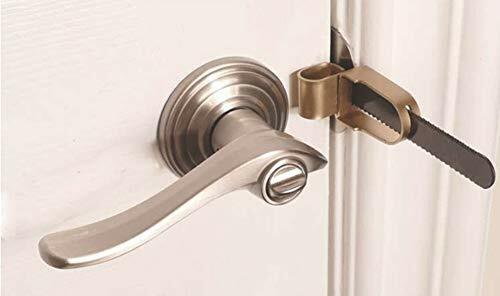 This portable door lock can be used on almost all internal doors that open towards the area you want to secure. The unique “squeeze and slide” design can be installed in seconds to offer additional protection from any unwanted visitors entering your room. This intelligent device is perfect for doors that do not lock or to add an extra layer of security to those that do. Stay safe anywhere in the world with your very own portable door lock. Featuring a unique patented stainless steel eXomesh locking system, the Pacsafe bag protector will keep your contents incredibly safe. With a 55 liter capacity, this stainless steel bag protector wraps and locks 360 degrees around your backpack, duffel bag, or suitcase. Prevent any unwanted opening with this unique steel mesh system that offers a protective and lockable netting for your luggage. Lightweight and easy to use, the bag protector can be attached to any fixture, allowing you to leave your luggage safe while you explore. Slash proof and super tough, this is a great addition to your travel security solutions for your next adventure. No matter what your budget is, where you are heading, or how much you are taking with you, there will be a luggage lock to suit your requirements. 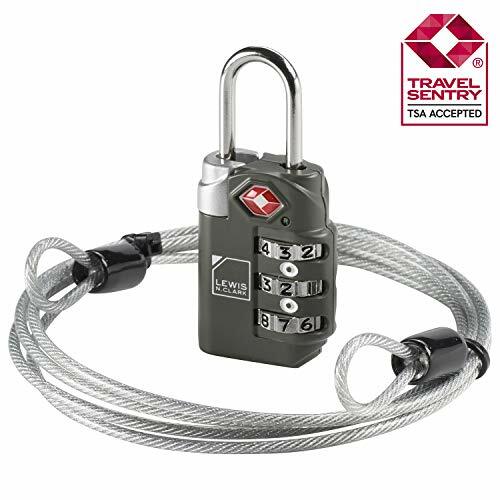 Just remember, always buy a TSA Approved luggage lock and don’t forget that combination code!